When “direct-read” power measurements are available, use them to estimate motor part-load. 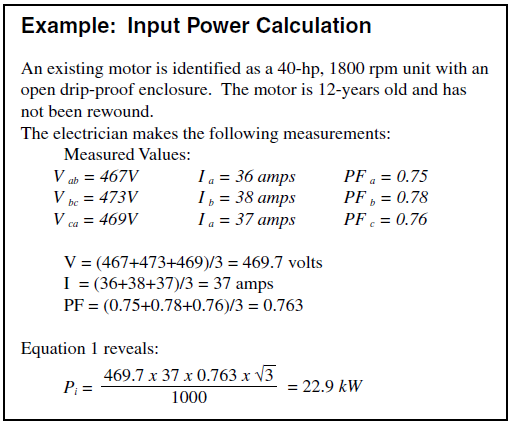 With measured parameters taken from hand-held instruments, you can use Equation 1 to calculate the three-phase input power to the loaded motor. You can then quantify the motor’s part-load by comparing the measured input power under load to the power required when the motor operates at rated capacity. The relationship is shown in Equation 3.